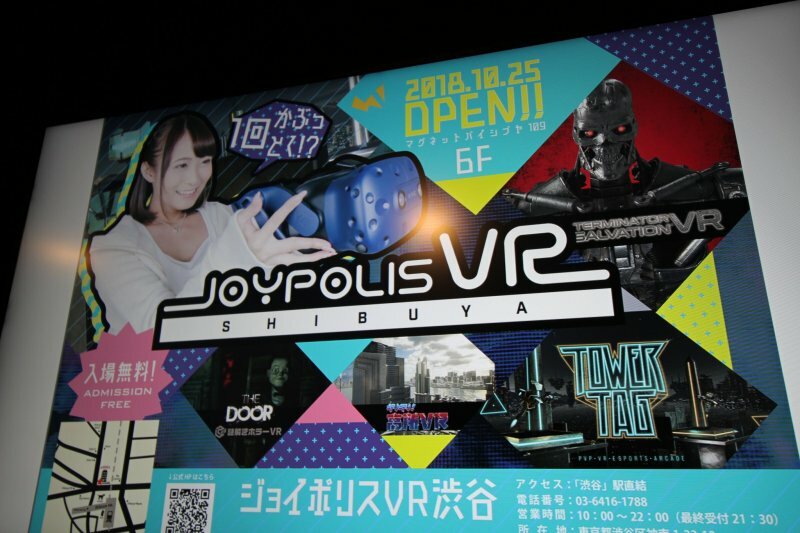 It's old news that Shibuya is one of the most bustling places in Tokyo, but it's making waves again with its latest addition of Joypolis VR Shibuya. 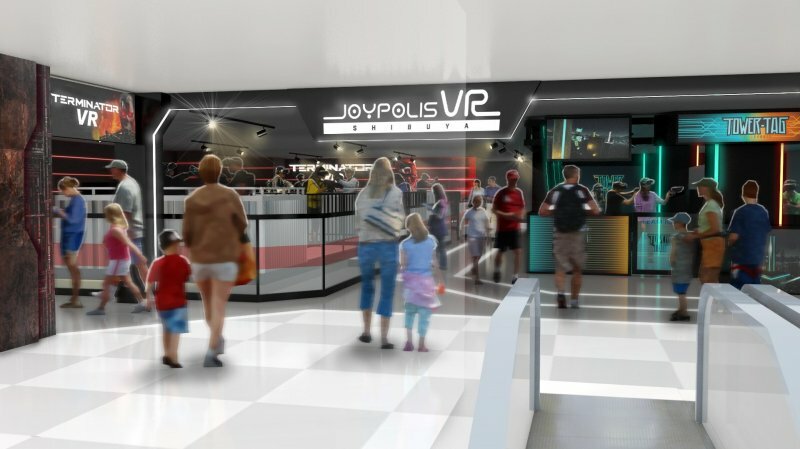 While Japan is no stranger to Virtual Reality (VR) entertainment, Joypolis VR Shibuya takes the VR scene up a notch with its advanced technology. 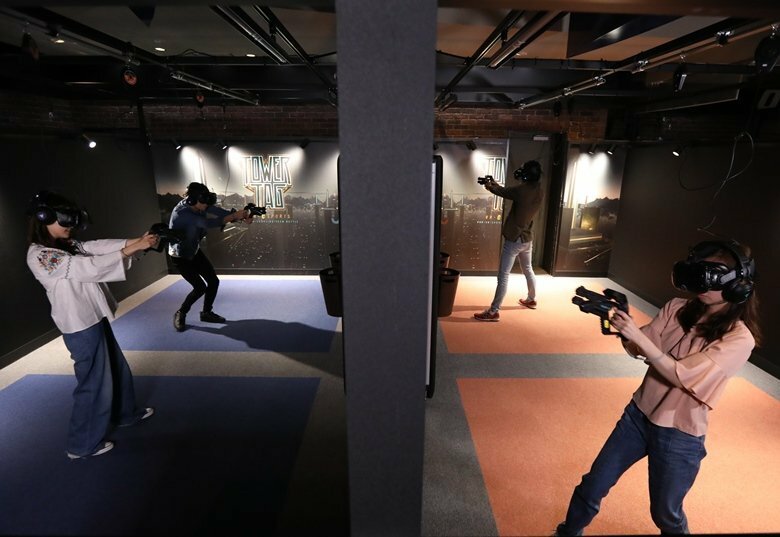 The game center opened on 25th October 2018 as the latest opening by Joypolis, an amusement park chain with various parks in Japan and China. 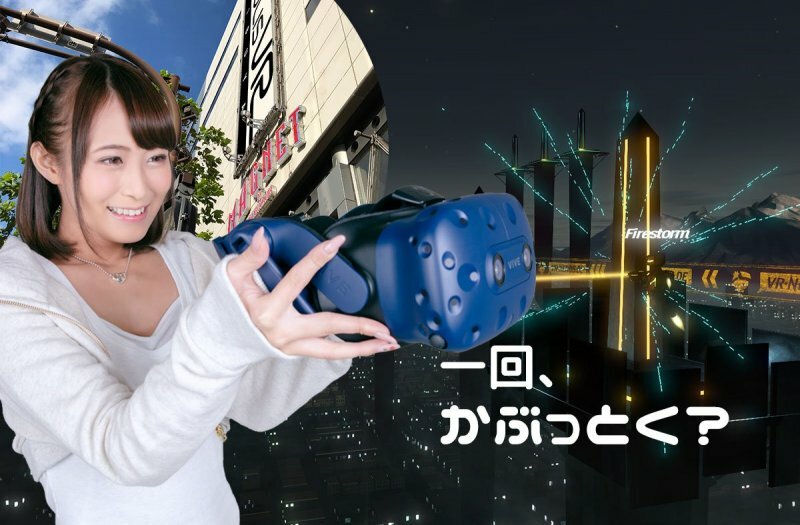 The game center uses the HTC VIVE headset which has plenty to offer specs-wise. 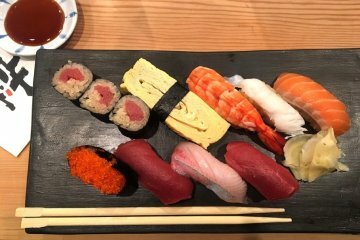 Graphics are vibrant and life-like yet keeps motion sickness to a minimum with an OLED monitor for each eye, 2160x1200 pixels combined resolution, 90 Hz frame rate and a 110-degree field of view. As for audio, the headphones are high-res audio certified and come with a powerful digital amplifier and dual microphones while the controllers provide realistic haptic feedback. 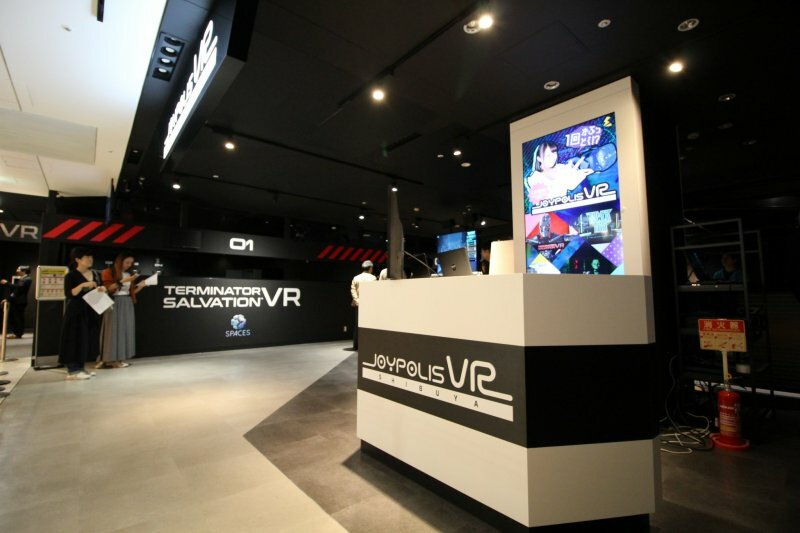 These factors combined makes a visit to the Joypolis VR Shibuya mandatory to experience the HTC VIVE headset. 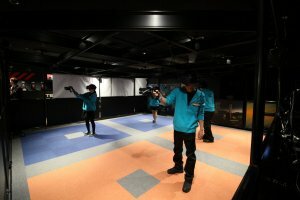 This Shibuya VR game center showcases Termination Salvation VR, Tower Tag and The Door, among others. 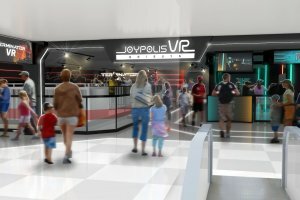 Joypolis VR Shibuya is certainly not to be missed by serious gamers and casual players alike looking for some seriously good entertainment. The world of the cult classic, critically and commercially successful Terminator series has opened its doors to fans in the form of the Terminator Salvation VR. The game is a collaboration between the US VR company, Spaces, and Sega. 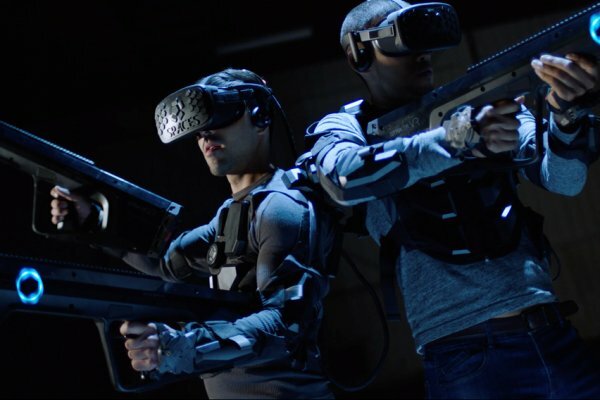 Diehard fans of the Terminator franchise can now step into its world through the multiplayer VR game. 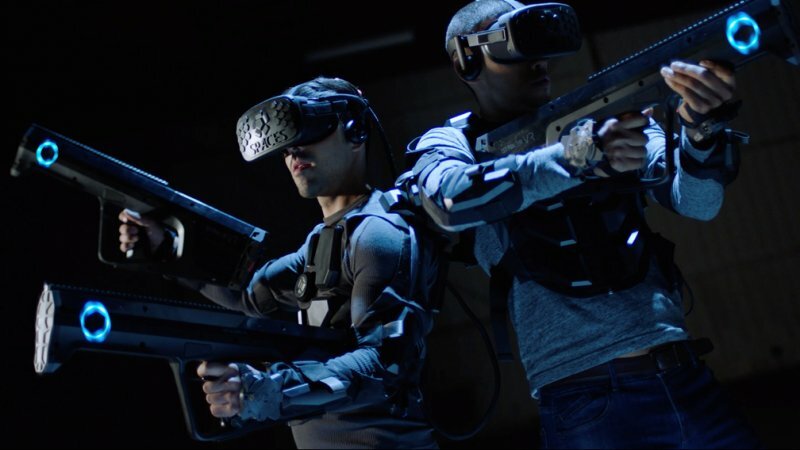 Participants will be equipped with a VR headset, gun and backpack and have their faces scanned so that an avatar of them can be reproduced in the VR gamespace. 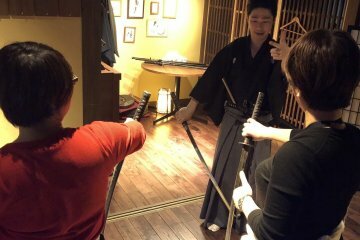 The equipment setup boasts of extra sensors that give an enriched haptic force-feedback experience to gamers, thereby enhancing the reality of the game. 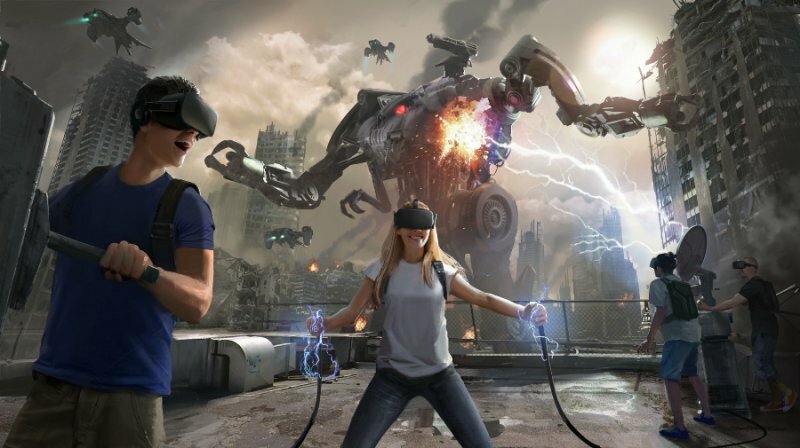 What's more, unlike usual VR games whereby participants experience the game through a passive "storytelling" format where they receive instructions and read messages from the game, Terminator Salvation VR allows them to "live" through the story, making the experience a truly immersive one. Lastly, for the Terminator fanboys and fangirls out there, you can even bring home a recording of your gameplay session! 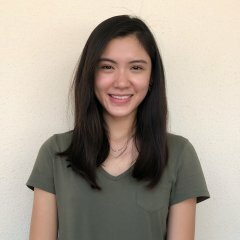 Taking E-sports up a notch to VR E-sports is the game, Tower Tag. 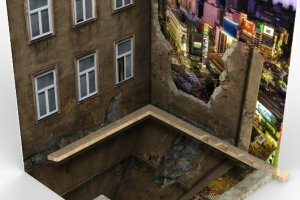 A collaboration between Sega and German VR company, Nerds, players will get their blood pumping through all the dodging, shooting and stealth involved. 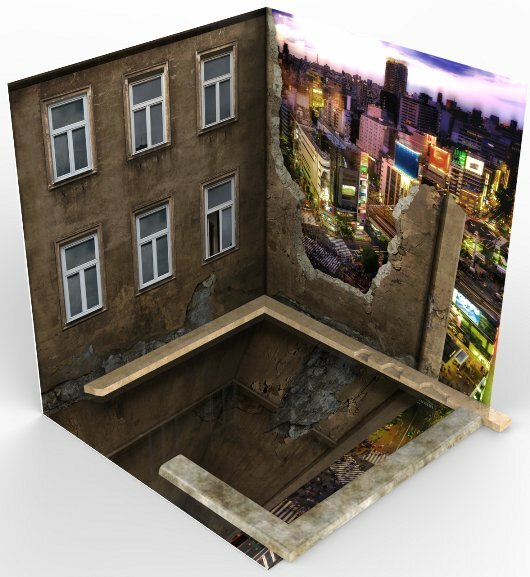 With a VR headset, gun and physical columns set around a 3 by 3 meters space to each player, the players will engage in a shootout with the towers around them as defense. Be ready to work up a sweat through the anticipation and action Tower Tag has to offer. If you'd like to, there's a viewing gallery where you can watch the players in action. If you are into horror, you'd definitely not want to miss The Door. Amy, the daughter of Doctor Jacob, a genetics professor, suffers from a mysterious and incurable disease. In the quest for a cure, Doctor Jacob locks people in his house. 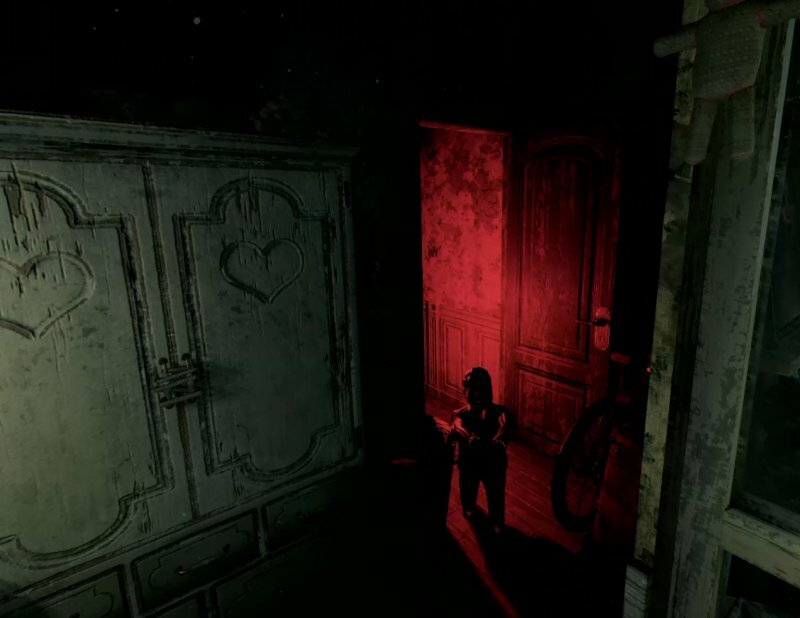 Players have to work together to pass stages like a warehouse where dolls are trapped. While the genre of The Door is horror, its puzzle solving aspect is strong as well, making this VR game one that appeals greatly to both emotion and logic. 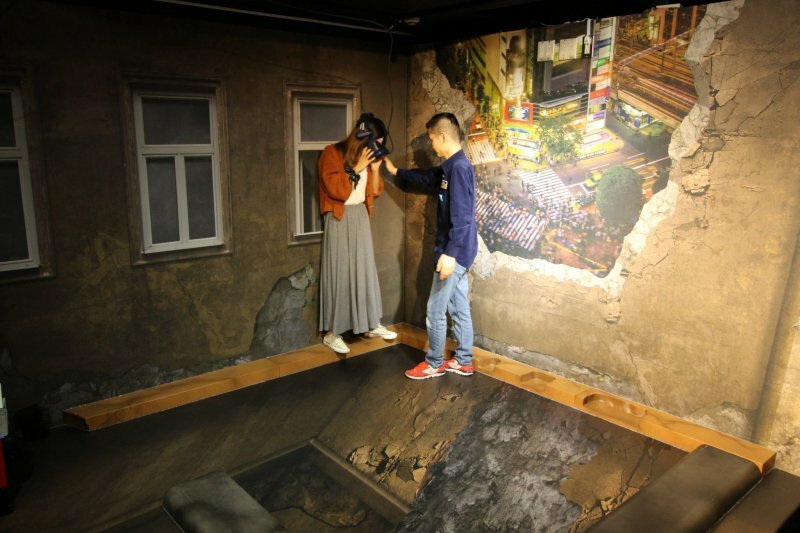 For those who want to experience heights without the potential danger of reality, Top Phobia VR is the exact place to do so! 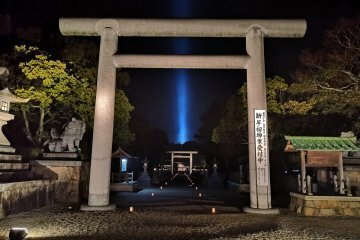 If you are into trick art, you could experience it here too. While roller coasters are nothing extraordinary, the Coaster VR definitely gives a refreshing twist to the quintessential theme park ride. Enjoy a wild ride while pretty much staying rooted to the same spot through a rich mix of visual, audio and haptic cues with the Coaster VR. 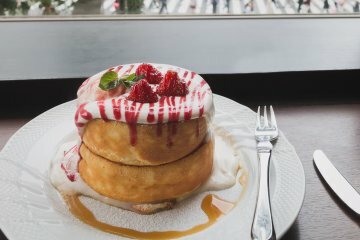 With over 2.4 million daily commuters, Shibuya station is a bustling city center with plenty of well-known attractions, including Hachiko the dog statue, the Meiji Jingu shrine, Yoyogi Park, shopping heavens such as Shibuya 109 and Mega Don Quijote, Tower Records for the book and music lovers, and of course - the famous Shibuya crossing. 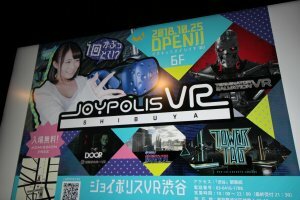 If you rather opt for a refreshing change from those activities, consider heading down to Joypolis VR Shibuya for some hands-on fun. With 5 distinctive games available, there is enough of a variety to whisk you off to fantasyland. 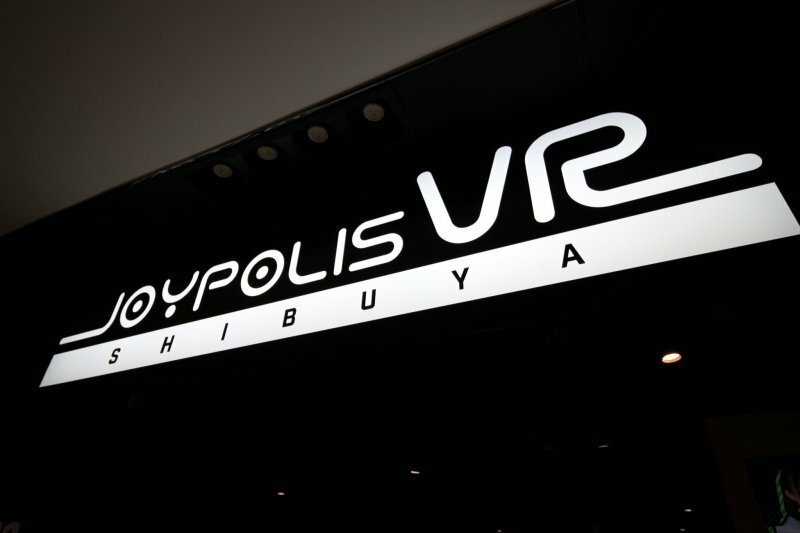 Joypolis VR Shibuya is located in the Magnet by Shibuya 109 building (previously named 109 Men’s) which is next to the famous scramble crossing. 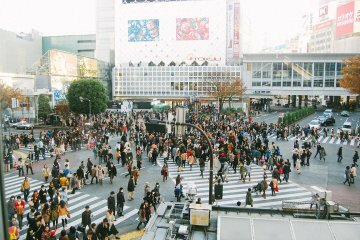 The closest exits from Shibuya station would be Exit 7A, followed by 7-1 and 7-2. 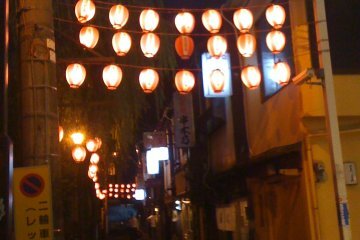 The Hachiko Exit and Exit 6-2 are nearby too. 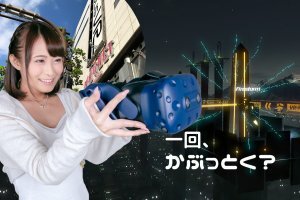 When you reach Magnet by Shibuya 109, go up to level 6 for Joypolis Shibuya VR. 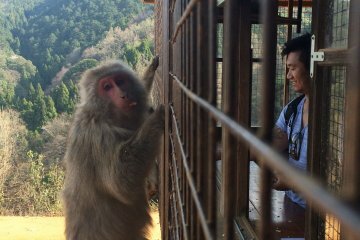 Opening hours are from 10am to 10pm (last admission at 9.30pm). It is free to browse around the premises while charges for each game apply as above.